2019 – The year of the Pig. 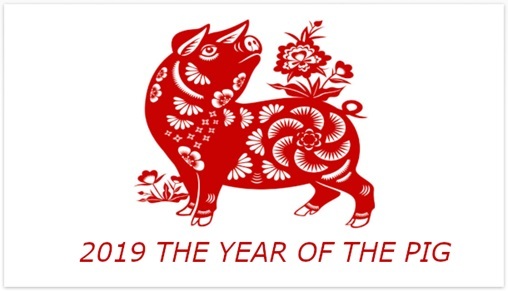 The ‘Pig’ symbolises a year of fortune and luck, a lazy google search reveals, “2019 is going to be full of joy, a year of friendship and love for all the zodiac signs; an auspicious year because the Pig attracts success in all the spheres of life”. Certainly we’re feeling the Pig vibes at RMK and super excited about the year ahead! It was a huge end to 2018 and RMK were very proud to have our talented peeps run off their feet in the lead up to Christmas. Add to this massive 40th Birthday parties for the agency in Sydney and Melbourne (you can view the Party Photos here) and it’s fair to say a break over Christmas and New Year was well received. Given 2018 was RMK’s 40th year in business, we commissioned a series of short videos – if you’ve not seen them yet, watch them here. We’ve got more great events in the pipeline for this year and some exciting news to share soon… Make sure you like and follow us on insta and facebook for all the latest!